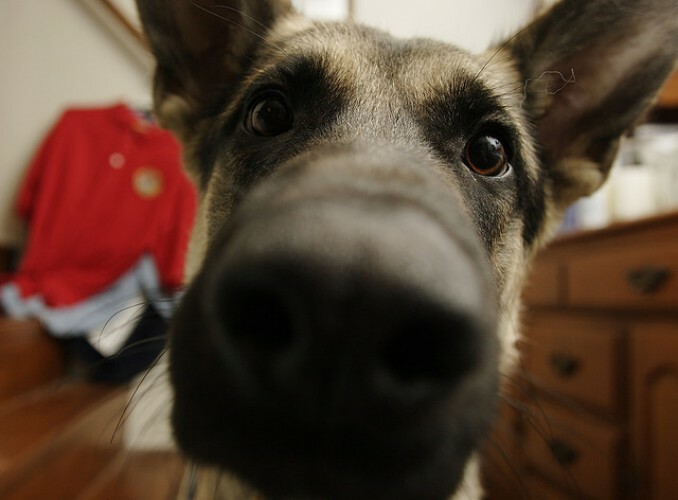 What To Know About Dogs and Chocolate | Woof Report | The best email newsletter for dog lovers. You’ve heard chocolate is bad for dogs, but exactly how much chocolate is bad for dogs? Are some types of chocolate more dangerous than others? Find out why chocolate can be harmful, and what to do if your dog eats chocolate. We’ve heard it over and over and we know that dogs are not supposed to eat chocolate. 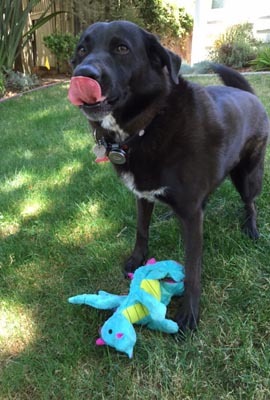 But with the presence of all kinds of chocolate goodies with Halloween and the upcoming holiday season, and the fact that most dogs will eat just about anything – it’s the perfect time for a reminder about the dangers of chocolate for dogs. Keep reading for all the facts on the delicious delicacy that’s a definite no-no for pets. Is any amount of chocolate okay for dogs? The simple answer is no. While some types of chocolate are worse than others (think baker’s and dark chocolate), chocolate consumption can make dogs sick and can even be fatal. While eating very small amounts of milk or white chocolate will likely not be harmful to most pets, it is better to be cautious and keep all chocolate away from dogs and cats. Factors like breed, size of the dog and the amount and type of chocolate all impact how a dog’s health will be impacted by consuming chocolate. What’s so bad about chocolate? How do various types of chocolate compare? Different types of chocolate vary in toxicity based on the amount of theobromine they contain. An easy guide is the color of the chocolate – darker chocolate is most dangerous, with baking chocolate containing the most theobromine and white chocolate, the least. And naturally, it’s not just the type of chocolate consumed, but also the amount consumed relative to your dog’s body weight. See the chocolate toxicity chart below to see how the type of chocolate and amount consumed could impact your dog. Direct from the WebMD article referenced above and at the link further below, the estimates that follow demonstrate how the type of chocolate consumed and the size of the dog impact toxicity. • A 9-pound dog could be expected to show symptoms of chocolate toxicity after eating 1 ounce of baking chocolate, 3 ounces of semi-sweet chocolate, or 9 ounces of milk chocolate. • A 27-pound dog might have such symptoms after eating 3 ounces of baking chocolate, 9 ounces of semi-sweet chocolate, and 27 ounces of milk chocolate. • A 63-pound dog might exhibit symptoms after eating 7 ounces of baking chocolate, 21 ounces of semi-sweet chocolate, or 63 ounces of milk chocolate. Symptoms of chocolate toxicity include vomiting, diarrhea and excessive thirst and urination. The symptoms are more severe, and could also include restlessness and hyperactivity, if your dog has consumed a greater amount of chocolate. If your dog has eaten chocolate, contact your vet immediate with the amount and type of chocolate. You may also contact a 24-hour poison control center, such as the ASPCA Animal Poison Control Center at (888) 426-4435 or National Animal Poison Control Center at (900)-680-0000. How about cats and chocolate? Chocolate consumption by cats is also dangerous due to the substance theobromine. However, as Morris will tell you, cats are a finicky bunch and simply don’t like chocolate so there are few instances of chocolate poisoning. 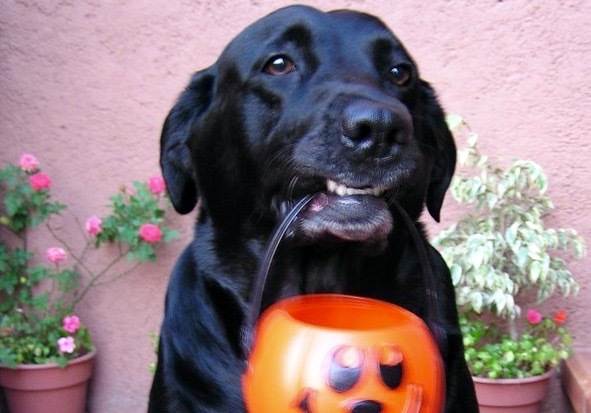 Lastly, prevent your dog from the risk of chocolate poisoning by keeping all chocolate out of reach and letting house guests (including trick-or-treaters) know that it’s unsafe for dogs to eat chocolate. While you can deny those pleading eyes because you know the consequences, those that are unaware may not be so resistant! Read the article “Dogs and Chocolate: Get the Facts” from WebMD for more information. Thank you to A30_Tsitika on flickr for the photo of Chelsea. Interesting! I hope that everyone’s Saturday is going great and I hope that they have a great Halloween! Welcome back!